Woodland Park, NJ (December 8, 2017) – FSR, a prominent manufacturer of products for all segments of the ProAV industry, including: education, hospitality, government, corporate and religious markets, is proud to announce that it has received a patent on its PWB-FR-450 Fire-Rated Wall Box, the latest offering in its popular PWB series. The development underscores the Company’s pioneering spirit and leadership role by acknowledging the infrastructure industry’s only fire-rated wall box with a patent. The large capacity PWB-FR-450 incorporates fire-resistant intumescent material within the door and its mounting frame for up to 60 minutes of protection. The unique box is completely code-compliant and eliminates the need for constructing double walls. 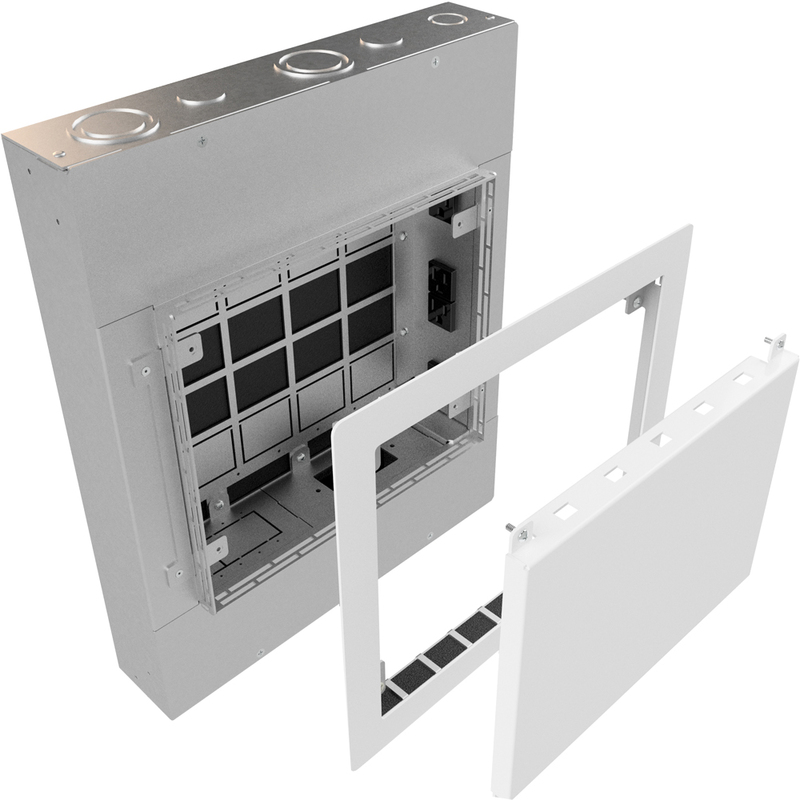 When closed, the PWB-FR-450’s cover is flush to the wall enabling displays to be mounted as close as possible, but also allowing ample room for all other in-wall connections. The cover is ventilated top and bottom to provide convection cooling and there is an exit slot to pass cables from the interior of the box to the display. The PWB-FR-450 can accommodate Crestron’s DM-RMC-4K-SCALAR-C receiver/room controller or 3 AC outlets and 4 single gang compartments to meet the needs of nearly any installation. “FSR is very proud to receive this patent on our PWB-FR-450 Fire-Rated Wall Box,” says Jan Sandri, president of FSR. “Not only is it prestigious to receive a patent, but it tells the industry that we are the first to bring this kind of technology to market. While other wall boxes certainly exist, FSR is the only company to offer a fire-rated wall box that is also designed for applications where the installer needs to mount larger interfaces or equipment behind a display or in any other custom application.